Oh yes indeed, something is brewing in Sterlynge Vayle, something that will prove to be an intoxicating combination of alcohol, mayhem, and edged weapons. Do not fear for anyone’s life, though. It’s just the annual event, Axes, Ales and Arrows! Plus, a bonus Sunday Regional Muster at the very same site! Baroness Marianna Maria Pietrosanti supervises archery. Photo credit Michele Broton. Who is this mysterious Nest person, and what fate has she forced upon the sweet, biddable Lady Briant? 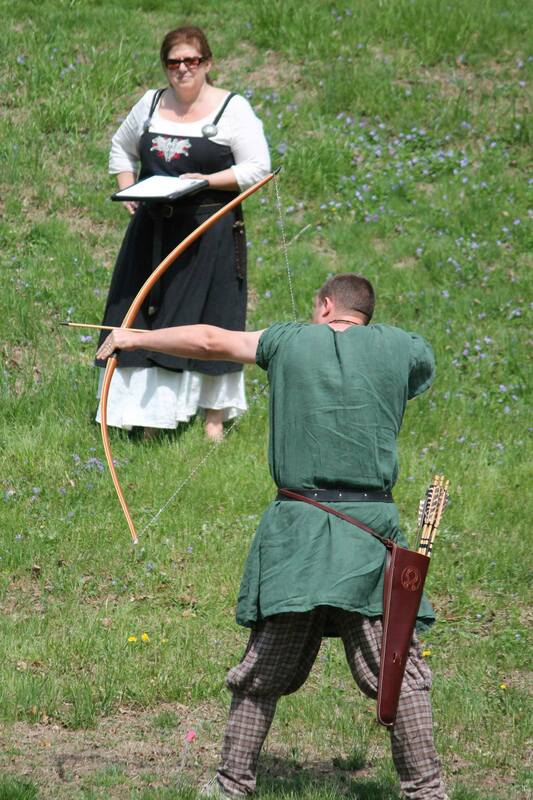 The weekend’s tournaments in Thrown Weapons and Archery will all be on the theme with a goal of helping us find out just what happened to Lady Briant. 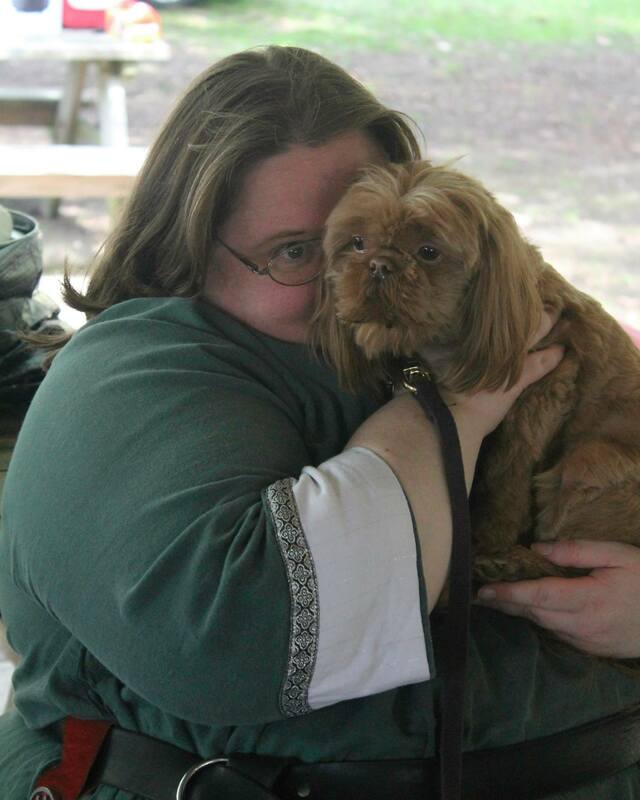 Baroness Anastasie deLamoure will be organizing the weekends Thrown Weapons activities, and Baroness Mariana Maria Pietrosanti is planning some awesome Archery activities. There will be a brew tasting, as well as an evening Bardic circle. There are no plans for heavy or rapier activities but if marshals are available those so inclined may fight to their hearts content. The event site is Evenmarch – 233 Doolittle Rd, Harpursville NY 13787, 4 miles north of Windsor (which is Exit 79 on NY Route 17/I-86) and 6 miles south of Harpursville (Exit 6 on I-88 – to 79 “East”). The Entrance for camping will be on Doolittle Road. A tasty dayboard will be served that all may be refreshed during the day. 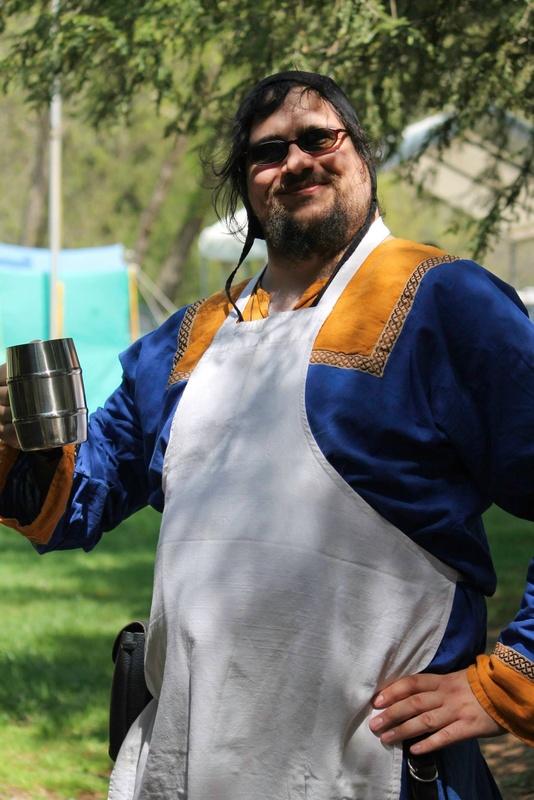 Before departing join us for a grand feast showcasing the journey of Laird Perote Campbell and his staff as they recount their adventures heading to the Holy Land in search of Lady Briant and her search for the sacred thigh bone of Saint Ignacio . American, writer, wife, mother, student, English, poet, employee, Artist, PA Deutsch, dog owner, re-eanctor, foodie. Isn't that enough?